The history and social context of this art form are as important and valuable as the notes. Not all great players are great teachers. Ndugu was both. He believed in sharing knowledge. He did not take for granted the impact that a person in his position could have on a student. Life lessons were often part of his music instruction, the music becoming a reflection of a point of view which could influence life choices: how you practice, how you organize, how you identify challenges, how you face them. He would say things like “Why be good when you can be great?” and “Prepare, then present with pride.” He worked on the art of teaching. He became an in-demand lecturer and was the creator of the popular drum set curriculum for the University of Southern California. We can be joyful in our expression, because as musicians we are privileged to have a universal outlook. And Ndugu was about expressing that joy whenever he played the drums. 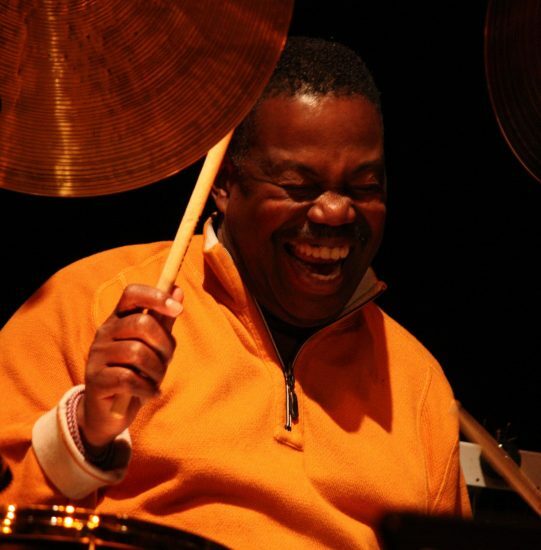 His swing, his groove, his sense of color, his crisp cymbal and footwork are certainly memorialized in videos and recordings. Revisit some of those when next you have a chance. Take your pick: Joe Henderson, Freddie Hubbard, Miles Davis, Frank Sinatra, Dianne Reeves, Santana, George Duke, Quincy Jones, Michael Jackson. He could speak eloquently about the music of both Sun Ra and Parliament-Funkadelic. He knew about the music of the Ituri Forest Pygmies and could sing along with Kendrick Lamar. The lesson: Listen for the truth in the music. Celebrate and play that.